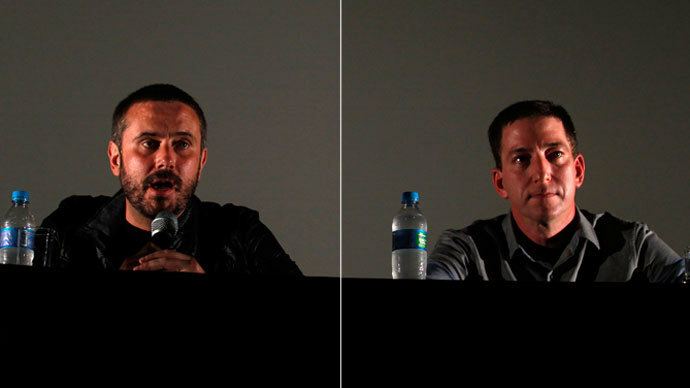 Newly-released documents handed over to Guardian journalist Glenn Greenwald by former CIA employee Edward Snowden describe in detail how Canadian intelligence infiltrated Brazil’s Energy and Mines Ministry. “I was overwhelmed by the power of the tools used. 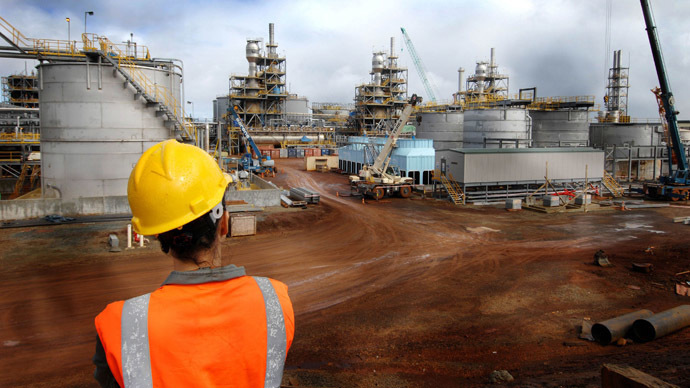 The Ministry of Energy and Mines was totally dissected,” security expert Paulo Pagliusi told Brazilian program Fantastico, which first reported on the leak. The program showed documents from a meeting of the ‘Five Eyes’ spy network, comprising the US, UK, Canada, New Zealand and Australia, in June of last year. In a presentation the Communications Security Establishment Canada (CSRC) – the Canadian version of the NSA – outlined how they used a program called Olympia to break through the Brazilian ministry’s encryption. “They [Five Eyes] are sharing all the information, handing over documents to let other countries know exactly what they are doing,” said Glen Greenwald. As a result of the infiltration of the ministry over an unspecified period, the CSCE developed a detailed map of the institution’s communications. As well as monitoring email and electronic communications, the CSCE also eavesdropped on telephone conversations. Able to identify mobile numbers, SIM card registrations and the make of a phone, Olympia even snooped on former Brazilian ambassador to Canada Paulo Cordeiro. Canada has so far refused to comment on the reports of its spy program. Brazil’s Minister of Mines and Energy Edison Lobao told Fantastico that the reports were “serious” and should be condemned. Canada is one of the world’s leading energy producers and has significant economic interests in Brazil. “Canada has interests in Brazil, especially in the mining sector. Does this spying serve the commercial interests of select groups? I cannot say,” observed Lobao. Previously, Brazilian newspaper Globo News reported that the NSA was monitoring Brazil’s state oil giant Petrobras. Washington reacted to the allegations, stating that the US “does not engage in economic espionage.” The Obama administration has said on a number of occasions that US covert surveillance is in the interests of protecting US national security. Brazil’s President Dilma Rousseff has condemned the reports of the NSA’s surveillance of Brazil and demanded the US account for its actions. As a consequence, the Brazilian head of state postponed an official visit to Washington in October. 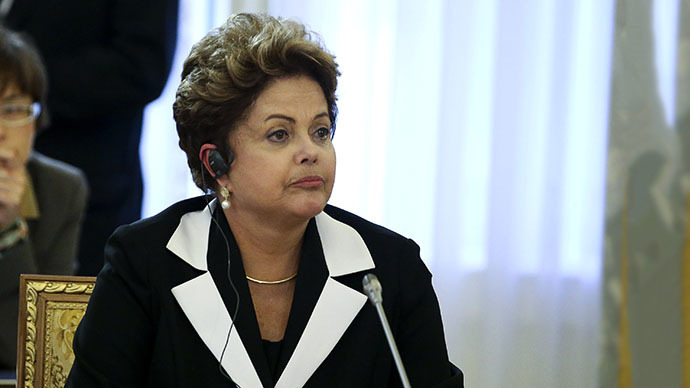 Rousseff has also taken measures to tighten Brazilian internet security. “I have sent an internet draft bill to Congress, an initiative that will protect the privacy of Brazilians,” Rousseff wrote on Twitter on Sunday. 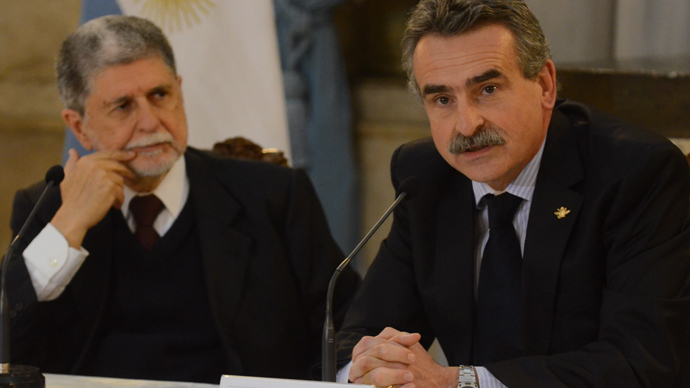 The government is expected to vote on the bill in the coming weeks. Back in September, Rousseff slammed the US for “economic espionage,” dismissing US claims the NSA spying is a preventative measure to ensure national security. 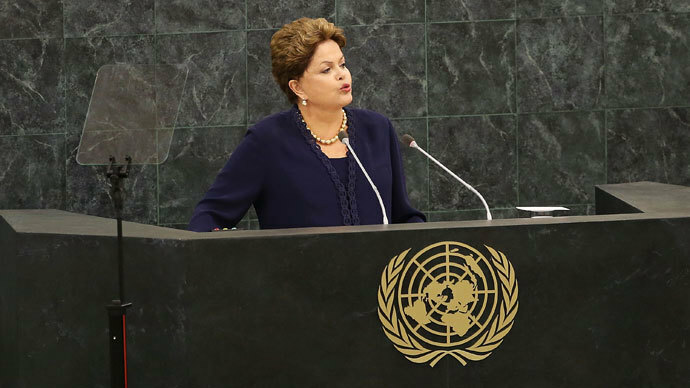 Addressing the UN General Assembly, President Rousseff stated that state-run Petrobras is "no threat to the security of any country. Rather, it represents one of the greatest assets of the world's oil and the heritage of the Brazilian people."